Ginger tea benefits have been known for thousands of years. 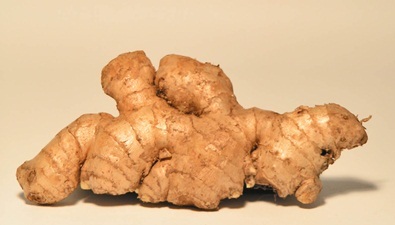 As an herb ginger has been used since about 2000BC. It was originally cultivated in Asia but is now also grown in West Africa and the Caribbean. It is widely used in Asian and Chinese cooking as well as being used for its medicinal properties. Although it is possible to buy ready-prepared ginger tea in bag form, it is also relatively simple to prepare at home and has just as many benefits. Simply peel the ginger root and cut into small pieces, boil some water, add the ginger, then reduce the heat and allow the liquid to simmer for 15-20 minutes. Strain the tea and add honey or lemon to suit. It is wise if being used to treat colds not to add sweeteners. Ginger root tea has anti-nausea properties working by blocking the serotonin receptors in the stomach and so can help to alleviate the symptoms of morning sickness. It is also ideal for those suffering from the previous night’s excesses, relieving the nausea associated with hangovers, and it can ease the stomach of those who may have enjoyed a recent heavy meal. These same anti sickness properties also help to reduce dizziness, making it ideal for the elderly who may be slightly unsteady on their feet. If sipped about an hour before traveling, ginger tea can greatly help those who suffer from motion sickness, and as it has no side effects like many over the counter remedies, it may be a preferred choice. Ginger tea has anti-inflammatory properties; as such it may be beneficial to those who suffer with stomach cramps during the menstrual cycle. Another benefit to the regular consumption of ginger tea is that it helps to alleviate symptoms of the common cold. Ginger is a natural antihistamine and decongestant, it can help unblock stuffy noses and as it helps to dilate bronchial tubes making breathing easier it can assist those with bronchitis and asthma. In some countries ginger tea has been known to be used as a cure for indigestion, it aids the flow of the digestive juices, increases muscle tone in the walls of the stomach and helps to move food into the upper small intestine more rapidly. One of the main ginger tea benefits is for diarrhea, and so may be beneficial to those who suffer from irritable bowel syndrome (IBS). Ginger root tea can also help to break a fever, as it promotes sweating that in turn cools the body, thus reducing fever. It is believed to have been used for that purpose during the plague. A professional medical practitioner should be consulted prior to taking any herbal supplement, as there are some reports that ginger can cause an allergy-type rash and affect blood pressure.